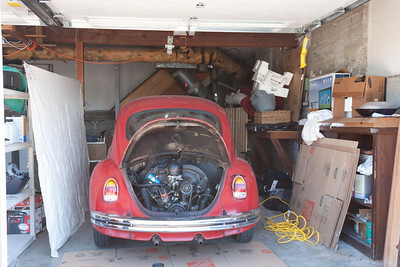 Over the past weekend I dove in to the first of the maintenance on the Beetle. Took me most of the weekend to work through it all and get it to the point where I was happy with things. At the beginning of the weekend the car would idle incredibly rough, stutter on acceleration and generally be a bit sluggish. I attributed this to the car just being old. Boy was I wrong. By the end of the weekend I was zipping around the block and it felt like a whole new car. In the days since the weekend I’ve continued to work on tuning the idle. I got a new Tach-Dwell Meter on Tuesday which enabled me to check the distributer points more precisely and also verify the correct idle speed (850 rpm). The idle is a bit finicky, but as of Wednesday night I think I’ve finally got it between 850-900 rpm and running smooth. During the spark plug gapping we discovered that the cylinder #4 spark plug was threaded incorrectly at some point in the past and now sits at a nasty angle. It definitely still works but I have a feeling that cylinder isn’t working at 100%. 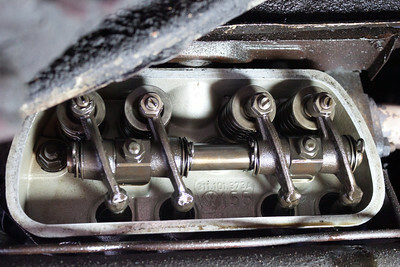 I’ll be investigating solutions including inserts and possibly replacement of the cylinder head. It’s amazing what little things can make a big difference in a car. Today most cars “just work” and computers control most of the functions. Being able to see how every little thing in a car works, though, means you have so much more appreciation for what it does and how it does it. I’m starting to get a good “feel” for the car and can tell when things are “off”. Next up I’m hoping to replace some worn engine parts such as the spark plugs and air hoses. Then on to replacing some of the gas tank parts. Those hoses are pretty damn old (and leaking smell – but no gas yet).